Below are a selection of recent journal publications and books by members of the RE team at Edge Hill University. Click on the links to read the articles. Paul Smalley (2018) ‘Reflections on the progress of developing religiously literate citizens in England’ Professional REflection: the journal of NATRE. 36 (1) pp. 58-63. Harith Bin Ramli (2016) ‘The Predecessors of Ashʿarism: Ibn Kullāb, Abū al-ʿAbbās al-Qalānisī and al-Muḥāsibī’ (book chapter in) Sabine Schmidtke (ed.) The Oxford Handbook of Islamic Theology, Oxford: Oxford University Press. Maggie Webster and Sarah Misra (2015) Teaching the primary foundation subjects, Maidenhead, Berkshire, England: Open University Press. Harith Bin Ramli (2015) ‘The Concept of Sunna in the Ḥanbalī School of Law’, (book chapter in) Adis Duderija (ed.) The Sunnah and its Status in Islamic Law: The Search for a Sound Hadith, New York: Palgrave Macmillan. Sarah Misra and Maggie Webster (2015) Can trainees’ perceptions of the delivery of the foundation subjects & R.E. in primary teacher education be enhanced by using a Three-Lens Model of Delivery? TEAN Journal, 7(1), pp. 38-50. (IXe-XIe s.). Enseignement, formation et transmission, Damascus: Publications de l’Institut français du Proche-Orient. Maggie Webster (2011) Creative activities and ideas for pupils with English as an additional language. Harlow: Longman. 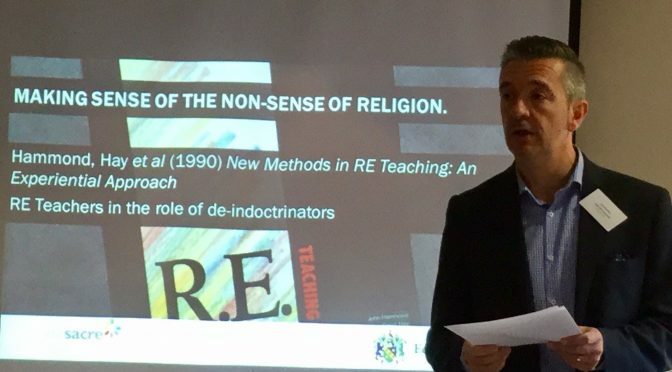 Heather Marshall (2010) The Prevent Strategy and Controversies (book chapter in) Joy Schmack, Matthew Thompson and David Torevell with Camilla Cole (eds) Engaging Religious Education Newcastle upon Tyne: Cambridge Scholars. Maggie Webster (2010) Creative approaches to teaching primary RE, Harlow: Longman.